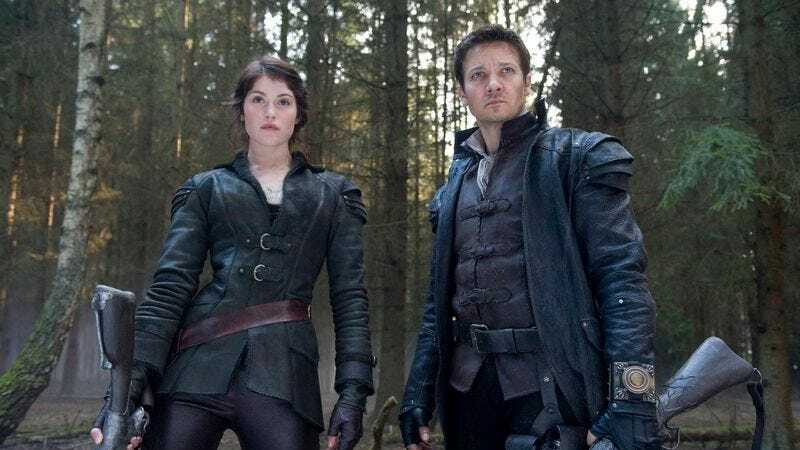 As reported by Deadline, Paramount has hired Bruno Aveillan to direct Hansel And Gretel: Witch Hunters 2, a sequel to the 2013 action movie that starred Jeremy Renner and Gemma Arterton as the eponymous gingerbread-loving siblings. This will be Aveillan’s feature directorial debut, as he’s mostly been a director of award-winning commercials before this. Witch Hunters 2 will be written by Tommy Wirkola, who wrote and directed the original—but chose not to direct this one. Also, apparently the sequel (like the original) will be produced by Will Ferrell and Adam McKay’s Gary Sanchez Productions, which is a little weird. At this point, it doesn’t sound like either Renner or Arterton are officially signed on, but Renner at least has mentioned in the past that he’d want to return to a Hansel And Gretel sequel. We imagine it’d be tough for him to turn down, since it’s rare that Jeremy Renner is in on the ground floor of an action movie series. Usually they bring him in after five movies and hope he can liven things up a bit, like a smaller version of Dwayne Johnson.